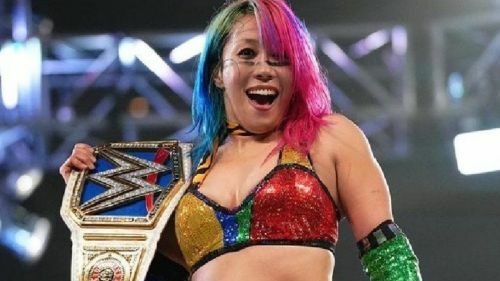 Asuka's WrestleMania 35 match will finally be determined on SmackDown Live. Four matches have already been confirmed for this week's episodes of WWE television. Matches have been confirmed for 205 Live, NXT, and SmackDown Live. Superstars like the Lucha Houseparty, Mandy Rose, Sonya Deville, Naomi, Carmella, Aleister Black, Ricochet, the Forgotten Sons, Kairi Sane, Drew Gulak, Bianca Belair, Gentleman Jack Gallagher, and Humberto Carillo are already confirmed to be in action. There will be a huge six man tag team match in the main event of 205 Live, a singles match between two of the superstars in the fatal four way match for the NXT Women's Championship at NXT Takeover: New York and the finals of the Dusty Rhodes Tag Team Classic have been confirmed for NXT, and a SmackDown Women's Championship number one contenders fatal four way match has been confirmed for SmackDown Live. Aleister Black & Ricochet were attacked by the Forgotten Sons after NXT went off the air last time. 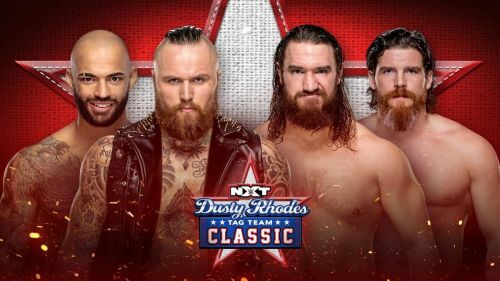 Aleister Black and Ricochet will face off with the Forgotten Sons in the finals of the Dusty Rhodes Tag Team Classic and the winner of that match will challenge the War Raiders for the NXT Tag Team Championships at NXT Takeover: New York. The first round matches included #DIY defeating Undisputed Era via pinfall with their Meet in the Middle finishing move, Aleister Black & Ricochet defeating the European Union via pinfall with Aleister Black's Black Mass. The Forgotten Sons defeating the Brit-Am Bruisers via pinfall with their Reverse DDT/Diving Foot Stomp finishing move, and Moustache Mountain defeating the Street Profits via pinfall with their Torture Rack/Diving Knee tag team move. The semifinals of the tournament ended with Aleister Black and Ricochet defeating #DIY via pinfall with a Black Mass/630 Senton combo and the Forgotten Sons defeating Moustache Mountain via pinfall with their Reverse DDT/Diving Foot Stomp. Both of these teams have a strong chance of winning this match as Aleister Black & Ricochet can have one last hurrah by challenging for the NXT Tag Team Championships and the Forgotten Sons can truly benefit from gaining a victory.